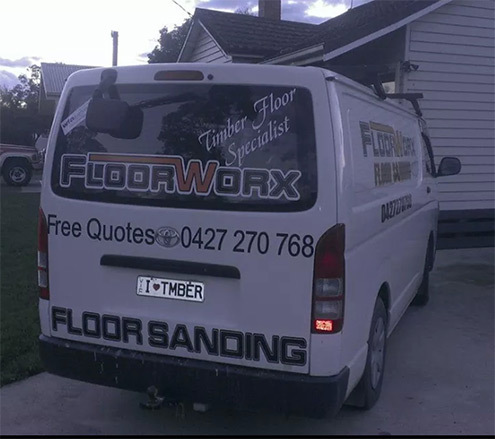 Floorworx Floor Sanding is 100% Australian owned and operated. Solid timber flooring is our passion and the quality of our workmanship is proof that we do what we love. With a desire to provide nothing but the best, it is our aim to make you fall in love with your floors. Based in Traralgon, we offer long lasting timber flooring to our customers, and will do our best to provide you with the timber flooring and sanding best suited to your lifestyle and taste. Our personalized customer service is what sets us apart from the rest. Providing free onsite quotes, information and floor care advice, We have the experience to ensure a beautiful result on both new and old solid timber floors, and to keep them that way for years to come. For more information on Sanding Floor Traralgon, Polishing Timber Traralgon, Timber Floors Traralgon, Floor Polishing Traralgon, Floor Sanding Traralgon or Laying New Floors Traralgon contact Floorworx Floor Sanding today.